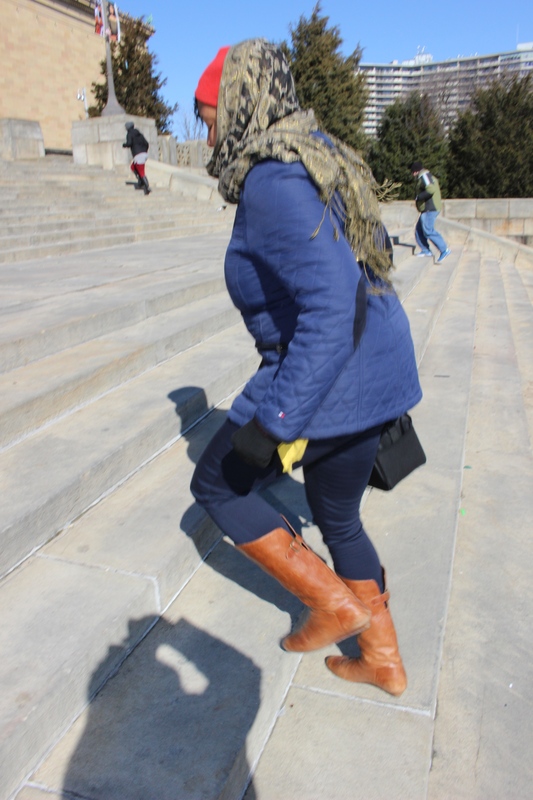 From Fist Pumpin to West Philly: Fresh Princess of Books! I think it’s safe to say after the last three weeks I am exhausted! The pack/unpack cycle has concluded for at least a month, but I’m definitely grateful for the Historical Tours w/R.J. that were completed. You know I love a good road trip. Can you believe of my many road trips on the east coast I’ve NEVER been to Philadelphia? I rode through Pennsylvania heading to Virginia but never visited any historical sites in the state. Our nation’s first capital, and I finally made it! 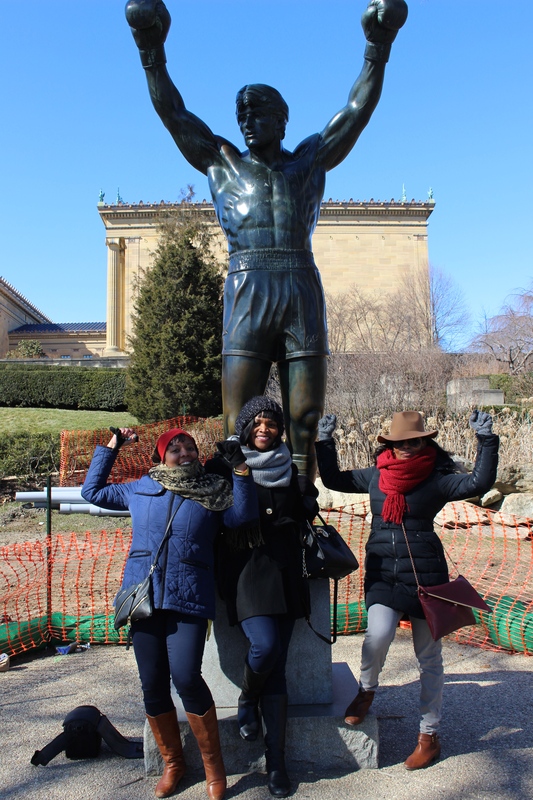 It was chilling cold the first day in Philly so my friends and I decided to venture out on Sunday afternoon. Our first stop was the Art Museum, and also the scene for the famous steps from the Rocky Movie. You know we had to go to the top right?! Lol. 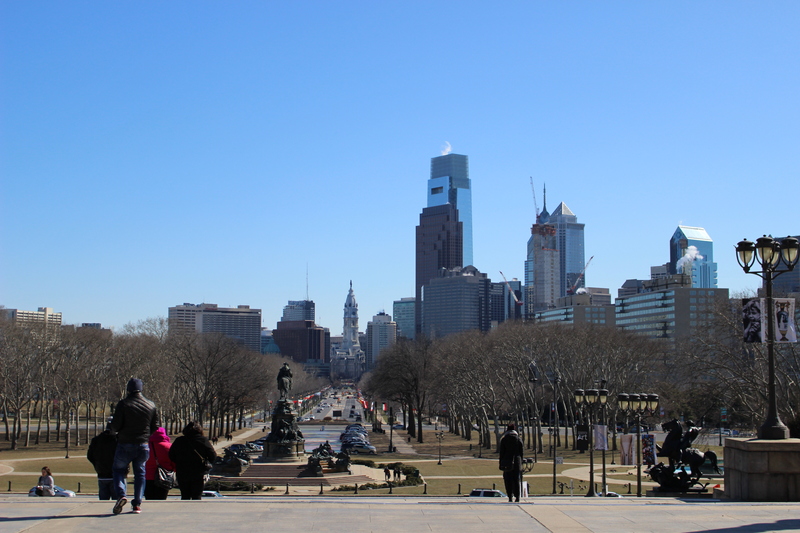 The view from the top of the “Rocky Steps” was amazing. We hung out at the top because it was the perfect photo op for anyone who conquered the stairs! Of course this stop wouldn’t be complete without posing with the statue! By the mid-afternoon we worked up quite an appetite marching around Philly, so we decided to go over to the Reading Terminal Market. There was so much to choose from but how could we come to Philly without getting a cheesesteak. Sure, my friends from the area told me to try Jim’s or Ishkabibble but Carmen’s Famous Italian Hoagie and Cheesesteak was President Obama approved! Since my former alias is Carmen Sandiego I was definitely down to try. 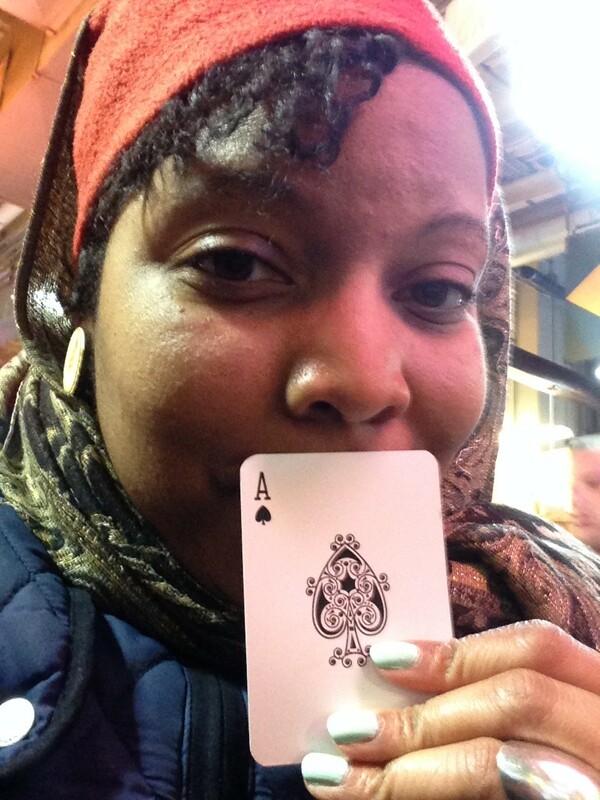 Placed my order, took my Ace of Spades card, and waited patiently for my order. No need to snap a picture of my food. We were thoroughly satisfied. I’ll check the other places out to compare the next time in Philly. 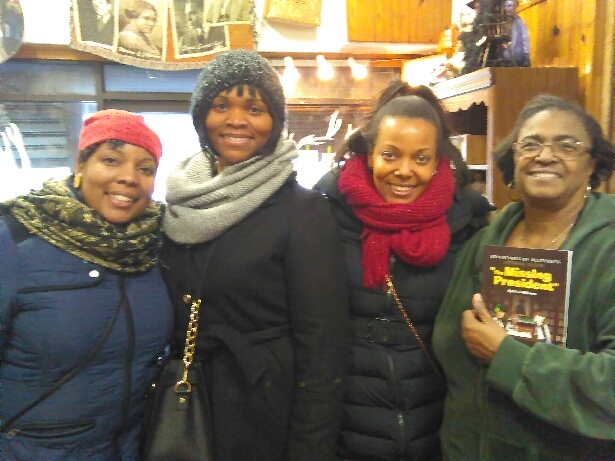 I saw a story on Facebook about one of the oldest African American bookstores in the country was located in West Philly, Hakim’s Bookstore and Gift Shop. I was excited to stop by, drop off my book, and patronize the business. We met the late owner’s daughter, Ms. Yvonne Blake. Her father, Mr. Dawud Hakim began selling books from the trunk in his car in 1959 before settling in it’s current location on 52nd Street. Can you imagine the history that has been exchanged in that space for the last 40 years.You can honestly get lost in there with the collection of books that is offered in the store. It is truly an amazing treasure to have in West Philly, and I wish more bookstores like that one existed all over the country. When you are in Philly be sure to stop by Hakim’s and it’s possible you may see a familiar book(s) in there very soon! My labor of love, “Final 48 Project.” The will to keep going!